Maurine and Scot Proctor of Meridian Magazine have created a weekly 30-minute podcast on the new Come, Follow Me curriculum. A new podcast is available every Friday about the following week’s curriculum. Each episode focuses on the life and mission of Jesus Christ as taught in the New Testament, and provides background for teaching the lesson at home or at church. You can listen to each weekly podcast either with the scriptures before you or in the busy hours of your life while you are doing other things. A link is included below each podcast image to see the scriptures and quotes that are referenced. The podcasts are available at Meridian Magazine or on the following platforms: Anchor, Apple Podcasts, Spotify, Breaker, Castbox, Overcast, Pocket Casts, PodBean, RadioPublic, and Stitcher. Listen to this week’s podcast and then share it with your friends who are not members—as they are about the life of Christ and cover areas common with other faiths. 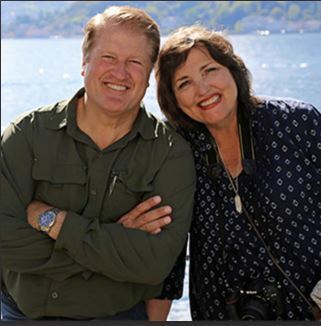 Scot Facer Proctor and Maurine Proctor have spent extensive time in the Holy Land researching the life of Christ. They have taught the New Testament in the Institute program for many years and have written books and numerous articles on the life of the Savior.